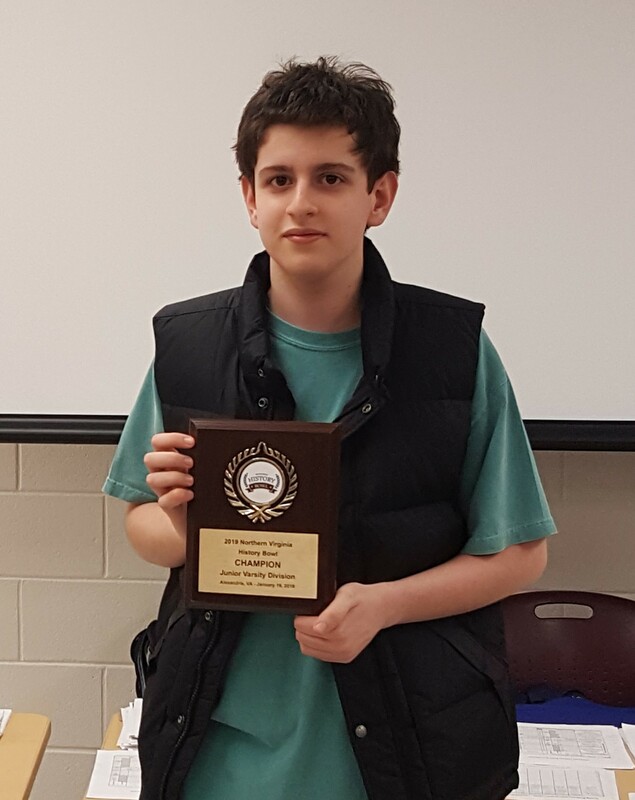 Sophomore Justin W. ’21 won the Northern Virginia National History Bowl Championship. He was undefeated, competing solo in a team competition. He advances to nationals later this year. In the 2019 Regional Scholastic Art Contest, Jinglin J. ’23 earned multiple Gold Keys and a Silver Key for her paintings and drawings, Tina Z. ’20 earned a Gold Key for her drawing, and Kelly W. ’19 earned a Silver Key for her paintings. The Debate team competed at the Broad Run Invitational. The team of Alan H. ’23 and Charan R. ’20 went undefeated with a 4-0 record and took second place in the junior varsity division. Neha R. '24 won the School Spelling Bee (gr. 4-8) with the word "effulgent." She will compete in the Fairfax County Spelling Bee. Holyn M. '23 and Vivian X. '25 were the runners up. William S. '25 won our School Geography Bee (gr. 4-8). He took an online test and will learn in March if he advances to the state competition this spring. 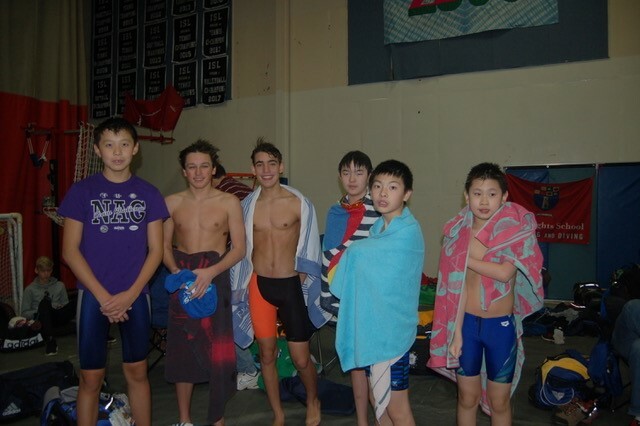 Brian L. '27 placed second and Matthew S. '24 placed third. Charan R. ’20 represented BASIS Independent McLean at the Poetry Out Loud Regional competition after winning our school contest. On Jan 26, BIM had two Quiz Bowl teams compete in Mountain Vista Governor's School’s Quiz Bowl. In a field of 30 teams, BIM Team A (Anna Y. ’21, Kiran J. ’20, Annie W. ’21, and Justin W. ’21) won third place. 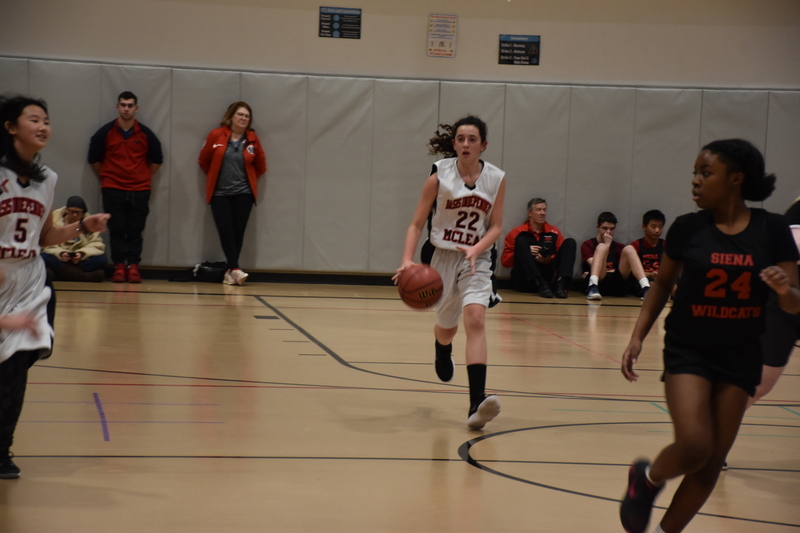 BIM Team B (Peter L. ’21, Charles T. ’20, Mimi Y. ’21, and Jiaming Z. ’21) finished 12th of 30. Anna, Charles, Jiaming, and Justin finished in the top quarter for individual scores. Justin placed 2nd in a field of 134 players. Team A had already qualified multiples times for the Small High School and All High School Nationals in May.